You are at:Home»Foods»What Are The 5 Most Nutritious Foods? “You Are What You Eat” This is a popular phrase that originated from renowned French Author Anthelme Brillat-Savarin in early 1800. Truly, whatever someone eats determines who they are. How is that possible? Well, if you are eating good food, you will be healthy. Conversely, if you eat junk food, you’ll be unhealthy and possibly sickly. It is no news that eating nutritious food is beneficial and important. Nutritious food is any meal that has a high content of nutrients. Here are five top nutritious foods you should consider including in your diet. We start with fish because they come in many varieties. The best part is that any fish you choose will have a high nutrient content. Fish is also a lean protein that is low in cholesterol and saturated fat. However, not all fish is best for your health. Some varieties like swordfish, kingfish, and tilefish are known to have a high concentration of mercury. But the best fish to eat are those like sardines, tilapia, salmon, tuna, mackerel, and shellfish. Sardines, for example, are small, oily fish that are normally eaten whole. They are considered one of the most nutritious fish because they are eaten along with the organs. The organs of an animal are what carry the nutrients. When you eat sardines, you can be sure of enjoying a meal that is high in omega -3 fatty acids, which are healthy for the heart. Salmon is also a type of fatty fish that contain high levels of omega-3 fatty acids. Naturally, omega-3s will boost the body functions and also boost the well-being of a person. Salmons contains vitamins, protein, minerals, selenium, magnesium, B vitamins, and potassium. Shellfish is a sea animal that is considered one of the most nutritious. Shellfish come in varieties including scallops, oysters, mussels, and clams. Oysters, for example, are known to contain levels of zinc, vitamin B12, copper, and other vitamin D.
Clams are one of the best vitamin B12 sources, which are loaded with B vitamins, vitamin C, iron, selenium, as well as potassium. Even though the fatty fish are considered healthy to the body, you should not eat them every day. Nonetheless, ensure that you include one of the fatty fish in your diet once or twice every week. This will give your body the needed omega-3s. 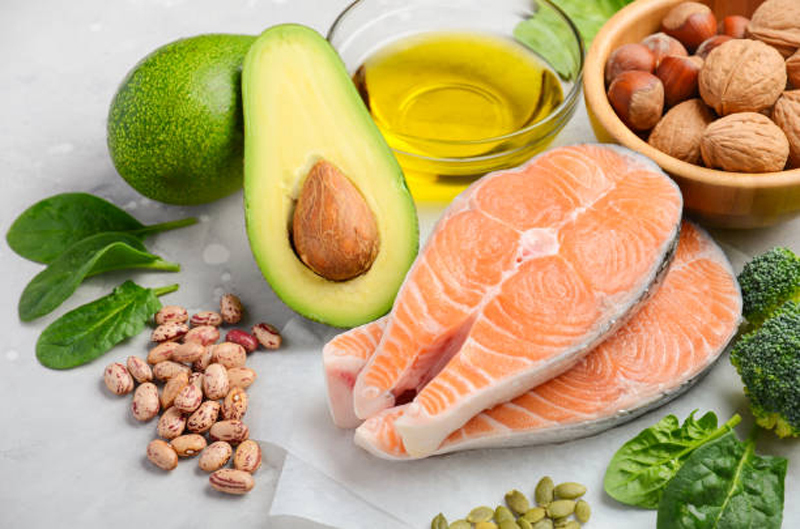 By the way, researches show that people who consume fatty fish more often have a lower chance of developing depression, dementia, heart-related disorders, and other common diseases. This is a common food, and also one of the most nutritious. Beans are vegetables with the highest levels of protein. So, if you are a vegetarian and you want a source of protein, beans should be the way to go. You should keep in mind that beans come in different varieties with the kidney beans being the most common type. Kidney beans contain protein, calories, fiber, B vitamins, copper, manganese, and iron. Black beans, which are common in Central and South America, are rich in protein, fiber, and folate (vitamin B9). They’re also known to reduce high blood sugar that normally appears after you eat a meal. In other words, black beans can reduce the risks of diabetes as well as weight gain. 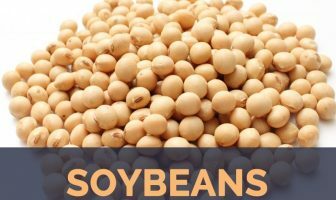 Soybeans are usually consumed in different forms like tofu. These are common in Asia, and they also contain protein, fiber, calories, and iron. These beans also have high levels of antioxidants called isoflavones. Soybeans can reduce the risk of cancer and other heart-related diseases. Consuming one large potato will give you high volumes of magnesium, potassium, manganese, copper, vitamin C, B vitamins, and iron. Generally, potatoes are known to contain high levels of starch. Potatoes contain every single nutrient that is needed in the body. Plus, potatoes are considered among most-filling foods, which means that you won’t eat a lot if you are consuming potatoes. Suppose you cook potatoes and let them cool before you eat; they will form a resistant starch. This is a fiber-like substance that is beneficial, and one that will keep you full for a long time. Ideally, eat boiled potatoes if you want to enjoy all its benefits. You can also bake them, but avoid deep-frying the potatoes. If you are not sure about how to cook a nutritious meal or you have a busy schedule, you can always use the meal delivery plan prepared by professional chefs and nutritionists. Sweet potatoes are also very nutritious, and they contain high levels of fiber. They have a sweet and delicious taste compared to the normal potatoes. Furthermore, sweet potatoes are rich in a unique antioxidant known as beta-carotene that helps to boost the levels of vitamin A in the blood. You can either steam, friend, boil, or bake the sweet potatoes. Out of these ways of preparation, frying is not recommended at all. Some parts of the US and Canada call the sweet potatoes yams. Nonetheless, you should not confuse the sweet potatoes with yams because they are different. With fruits, you will have to eat them whole if you want to enjoy all its nutrients. You can eat the fruits whole instead of drinking the processed juices. Nonetheless, there are superfruits like strawberries, kiwis, and blackberries. These fruits contain the most nutrients, and they are also known to have high levels of fiber and antioxidants. Oatmeal is just a type of coarse flour that is made of hulled oat grains. These hulled oat grains can be rolled, steel-cut or milled. Eating oatmeal more often can help you maintain a stable weight and also balance the cholesterol level. Naturally, oatmeal offers a high-protein, high-fiber source that is also rich in selenium and magnesium. For a perfect meal that is full of nutrients, take a half cup of whole oats, add one cup of water and cook it in the microwave for a minute. You can then add raisins or blueberries for some extra treat. Maintaining a healthy meal can be tricky, but here are some tips to help you choose a healthy and nutritious meal.